Brad C.’s Dean for a couple of weeks while waiting for parts. Stolen by a neighborhood kid and returned many months later. On one of the boys little mt bikes briefly. Then recently on my oldest son’s race BMX bike. 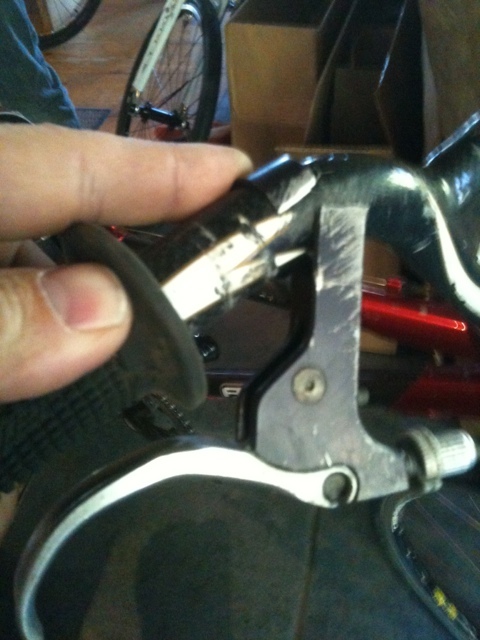 Crash on Sunday at the Lyons Outdoor Games Pumptrack Comp resulted in a fatal break of the handlebar band. This entry was posted on Wednesday, June 15th, 2011 at 11:51 AM and is filed under Peak Cycles Bicycle Shop. You can follow any responses to this entry through the RSS 2.0 feed. You can leave a response, or trackback from your own site.